Hello again, Premodern humans! The inspiration for this week’s deck came while playing my Legacy B/R Reanimator deck. 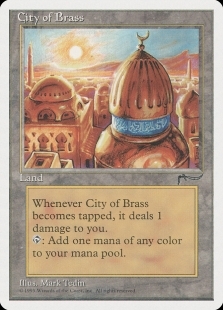 I realized that, save for a few cards, a huge chunk of the list was actually Premodern legal! 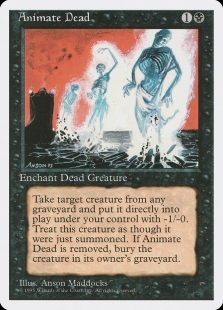 I’ve seen other builds of Reanimator in Premodern, most of which play cards like Buried Alive or Intuition in place of the banned Entomb, to tutor creatures into the graveyard for reanimation. Those spells work well with a reanimation strategy, but can be a tad slow at three mana. 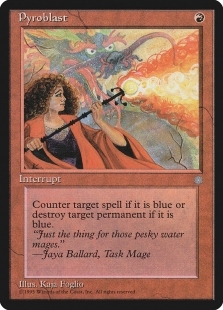 What if we could get under our opponent’s counterspells by going all in on speed, and consistently put a fatty into play on turn one or two like the Legacy deck? I’ve got news for you: we can! This is actually a deck that I’ve done a little more testing and tuning on, and it feels pretty competitive. 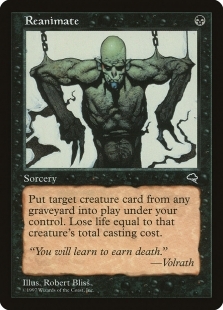 The overall structuring and mana requirements are identical to the Legacy version, except that you don’t have Entomb, so you have to play a couple of extra reanimation targets. 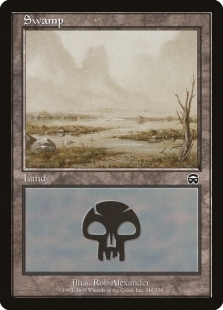 The land count and mana acceleration package are the same, and the reanimation spells are the same. It really is blisteringly fast, and with proper mulliganing you will get a fatty into play on turn one or two the majority of the time. Now for the differences, first being the quality of the creatures. Obviously, Verdant Force is no Griselbrand. That said, the creatures are all good enough for the format they exist in, and do some very nice things when put into play on turn one. 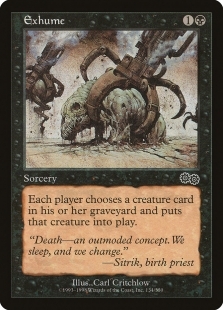 The other difference is the lack of Entomb, meaning you get a little less selection of the creatures you want to reanimate, and your combo basically always requires three cards. In practice, this doesn’t seem to be much of an issue due to the redundancy built into the deck, and it works out that the deck’s fail rate of losing to itself due to mulliganing into oblivion is not much worse than the Legacy version. 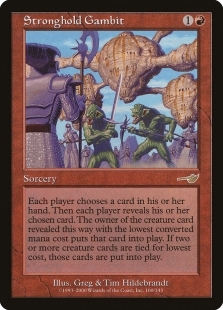 Speaking of mulliganing, note that this deck mulligans aggressively as a form of card selection. 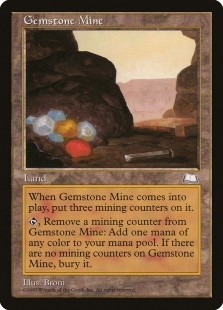 It’s not uncommon to go to five cards, and if you find the right combination you can still win easily. I think for this one I will go card by card and break down my choices. 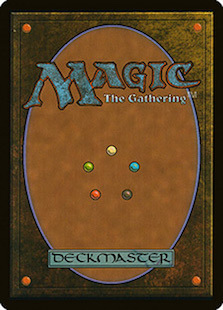 The ratio of each group of cards in the deck should remain about the same, even after sideboarding. •4 Careful Study. 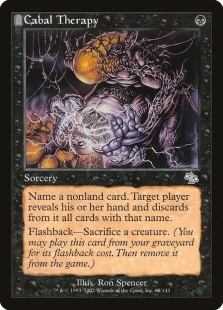 This is the best discard outlet in the deck and you always want to see it in your opening hand. It helps to dig for whatever you need, and puts fatties in the bin at the same time. 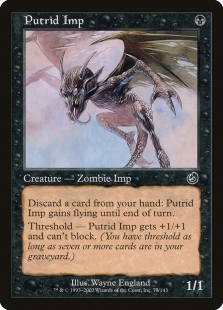 •4 Putrid Imp. Originally I had Firestorm in this slot, but after I started testing the Imp, it became clear that it was the much better card. This thing has a ton of interesting fringe benefits, apart from the fact that it’s a great free discard outlet. 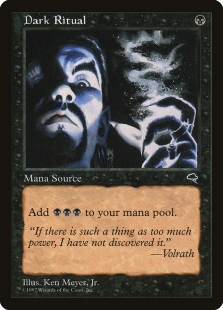 It protects against Edict effects. It lets your flashback Cabal Therapy early to clear out disruption. It can stop early aggression from a Goblin Lackey. It can chip in for extra damage. It can pitch to Unmask. It can be cast off a Dark Ritual. Key card in the deck. •4 Cabal Therapy. Another extremely important card. 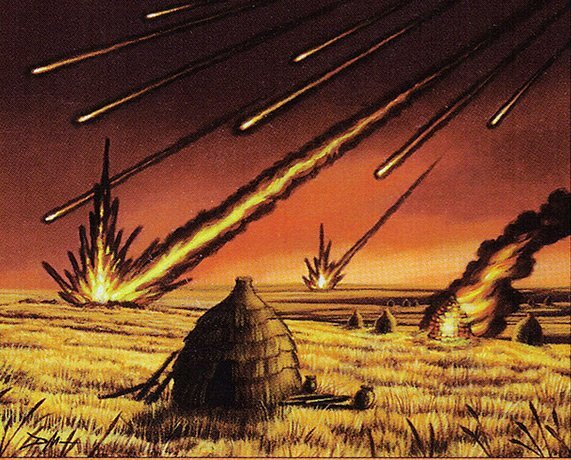 It’s our main form of disruption for clearing out things like Swords to Plowshares (most common blind name), and it has a lot of synergy with some of the fatties, which we’ll talk about below. It’s also a good way to bin our own reanimation targets and can be reused later. 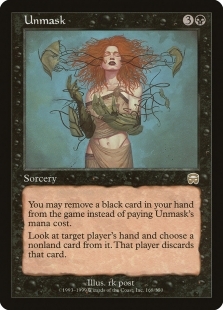 •2 Unmask. Can hit ourselves or our opponent depending on what we need. Another great disruption/self discard effect. •4 Verdant Force. Some decks just cannot deal with this guy on turn one, especially backed by disruption to get rid of Swords to Plowshares or Terminate. The tokens get out of hand quickly and can be used to flashback Cabal Therapy. Wrath of God is just not fast enough sometimes. 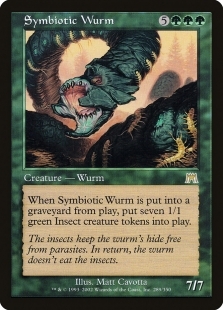 •4 Symbiotic Wurm. This card is a house against anything but exactly Swords to Plowshares, and there are ways to get around even that. 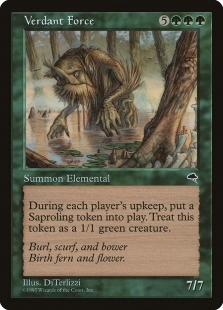 This line of play is not uncommon on turn one: Land, Ritual, Therapy myself naming Wurm, Exhume, sac Wurm to flashback Therapy on you, make seven 1/1s, go! •4 Visara the Dreadful. 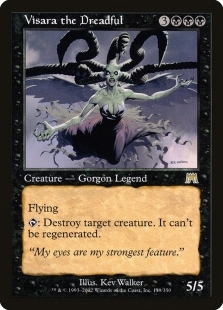 This one is somewhat flexible and there are certainly more powerful creatures to reanimate in a vacuum, but I like Visara for a couple of reasons. 1) You can actually hard cast it with a Ritual or two, and 2) It’s a big, flying body. Other options include Spirit of the Night (not castable), Akroma, Angel of Wrath (awesome but doesn’t work with Animate Dead) or Exalted Angel (strong contender but a little small and maybe better in sideboard). •4 Reanimate. This will give you the most turn one reanimations, and it can be great to use on your opponent too. The life loss can hurt, but if they Swords your creature, you get most of it back! •4 Exhume. Very solid two mana reanimation, just remember to check your opponent’s graveyard. •4 Animate Dead. Third best but still very efficient, and the redundancy is what makes this deck consistent and resilient to having your first threat answered. •4 Dark Ritual. Absurd. 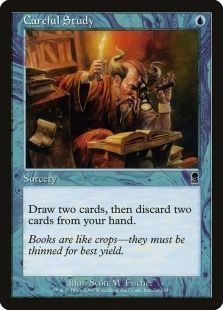 The only card this doesn’t help cast is Careful Study, but it’s responsible for most of you turn one reanimations. 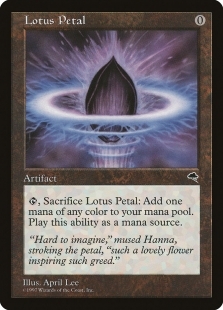 •4 Lotus Petal. Helps with colors and can also accelerate you to a turn one fatty. 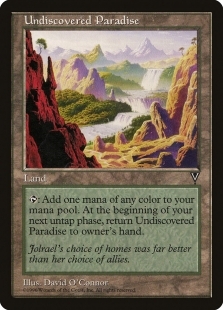 •10 rainbow lands. Really no issues with running these, and you need blue in the main and red out of the sideboard. •4 Swamp. The maindeck is almost mono-black, after all. 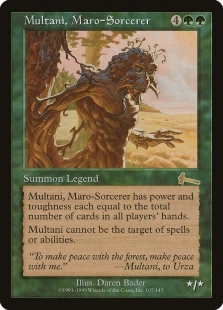 •4 Multani, Maro-Sorcerer. This guy comes in against controllish decks with Swords to Plowshares or other targeted removal. Having an untargetable creature with seven to ten (or more) power around for a few turns will finish things quickly. In practice, I think I’ve laid out how Swords to Plowshares isn’t a game ender, but it’s nice to have this guy in the board. 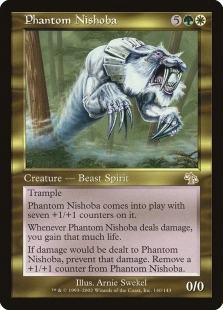 •4 Phantom Nishoba. This one is for aggro matchups where the life loss from Reanimate might be problematic. 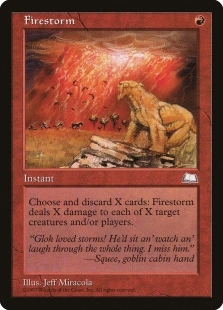 •2 Firestorm. A nice discard outlet, and can clear out early creatures. •2 Pyroblast. The only card in the sideboard that slightly dilutes the deck’s game plan, but it can be worth it for extra combo protection. •3 Stronghold Gambit. Basically a Show and Tell against creatureless decks, and avoids graveyard hate. Can also come in against decks with few creatures, but it’s best to clear the way with discard spells first. 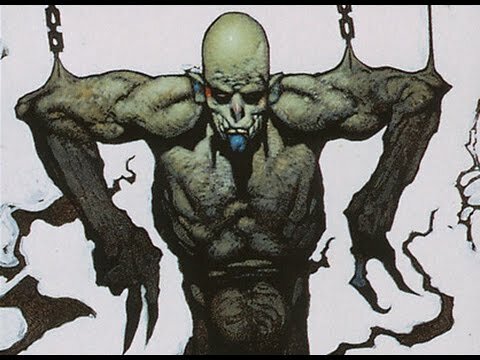 Whew, this was a longer one today, but I hope you enjoyed the breakdown of my Reanimator deck! I would love to hear your thoughts; as always leave comments in the Premodern Facebook group or hit me up on Instagram @mtgdojoera.